Bloggers, especially those found at the beginning of their journey, make a lot of newbie mistakes. The truth is that most of them do not know what SEO stands for, nor do they know how to attract readers other than by writing awesome posts. They actually believe that if they write hundreds of excellent articles they will skyrocket in the search engines, and visitors will start to come, but this will never happen. No matter how good your content is, it stands no chance on Google unless it is properly optimized and marketed. Today I would like to talk about three surefire strategies that will help you better market your content. Basically, you have to think like the searcher (or reader). Most of the times, people have no idea what they are looking for, especially when it is something related to technology. Let’s take a simple example. Your friend has just seen “The Avengers”, and he liked Loki, but he has no idea what the actor’s name is, so he will probably type something “Loki actor in the Avengers”. Most of the types such keywords make no sense to us, but they are frequently used, so you should try to take advantage of them. In other words, what do you think that people are more likely to search for? Oh, that. Then use that. According to recent statistics, most internet users only read the title of an article, but they rarely read the entire text (unless it really interests them). Furthermore, people are more likely to click on interesting titles. I would like to use the power of example once again. Think about gossip magazines for a second. The truth is that they are useless and most of the times boring, but writers sure know how to sell their content. More often than not I feel driven by an impossible to resist urge of clicking titles like “Kim Kardashin Rocking the Beach like Never Before”. To be honest, I couldn’t care less about Kim Kardashin in a swimsuit, but I end up clicking the title anyway. Why? Curiosity is one of the most powerful incentives, so make sure to take full advantage of it. Write something original and controversial. There are indeed some successful templates available for use, but they are very frequently used so you should come up with something truly unique. Internet marketers have gotten the basic idea right: discounts and freebies will increase overall sales. What most of them do not get right is timing. You can’t just offer a discount from the start because people have never experience the product without the discount. Whenever you are reviewing something, or marketing a product with the help of your site, make sure to first market it without discount, and then with the discount. This is one of the safest ways to increase conversion rates and overall profits. 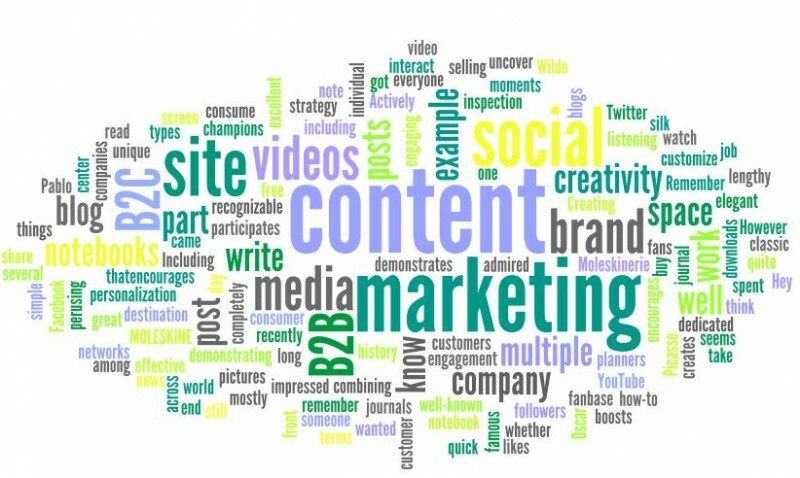 In conclusion, content marketing is a great way to attract readers, make more sales, and also gain online credibility. It is true that the most successful internet marketers will never reveal their secrets, but with this tips you will be well on your way to online success. Anna Robeson works as a SEO copywriter and social media consultant. She is extremely passionate about search engine optimization, internet marketing and SEM, and she recommends people who want to get started with content marketing to visit guest post shop for some great insights on the matter.